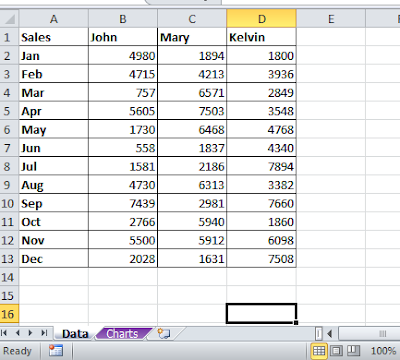 Occasionally, when I make reports, I do my calculations in a dedicated sheet, a sheet I don't want anyone tampering with. 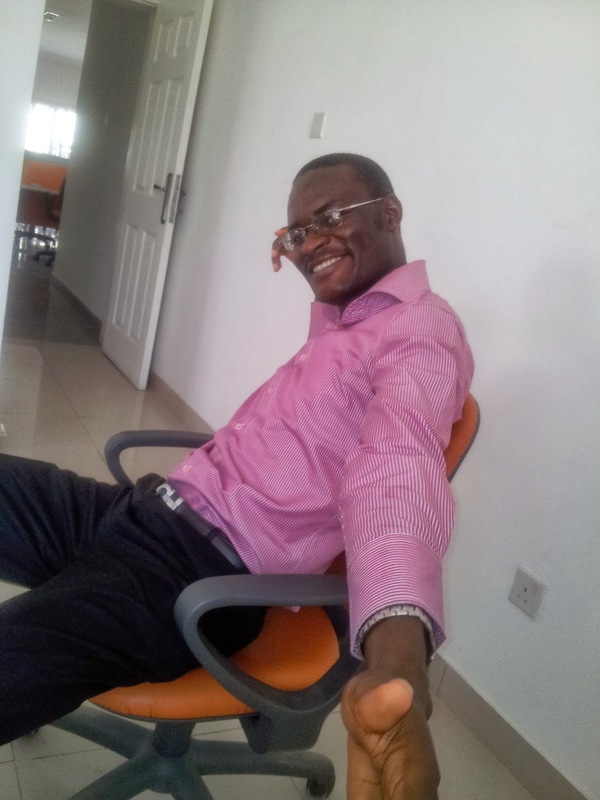 So what I always do is to hide that sheet before sending the report out. 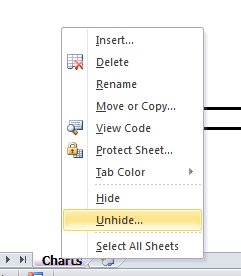 In this post I will show you how to hide and unhide sheets in Excel. I have already made a sample data for illustration. It's a sales report Excel file with two sheets, one sheet has the sales data and the other sheet has a chart. I'm already done with the report and about to it to the company's PR department. 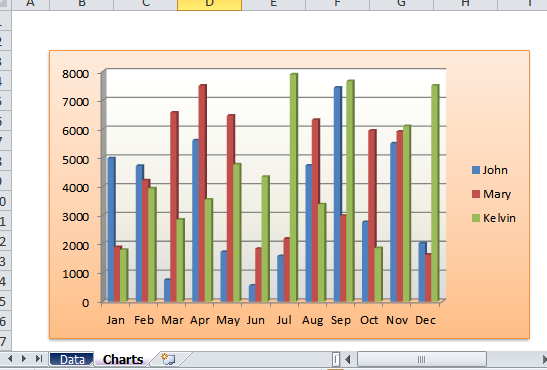 They intend to use it in company's monthly newsletter, and I don't want them to publish the actual sales figures. So, I'll hide the Data sheet. As you can see, I've made everything. 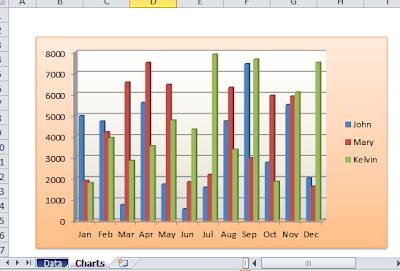 I now want to hide the sheet that has Data, and leave only the one that has the Chart. I rightclick on the Data worksheet tab. Hide. Done. Just Chart sheet is visible. How do you unhide sheet? Easy. 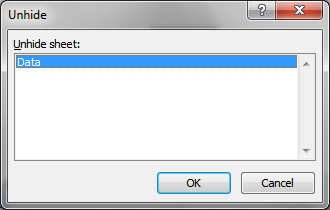 Rightclick on any sheet tab. Unhide. Choose the sheet you want to unhide. 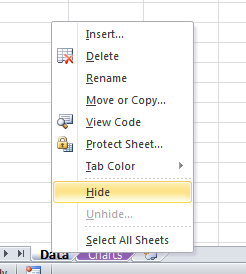 Now you know how to hide and unhide Excel worksheets!